It’s that time of year again, folks. 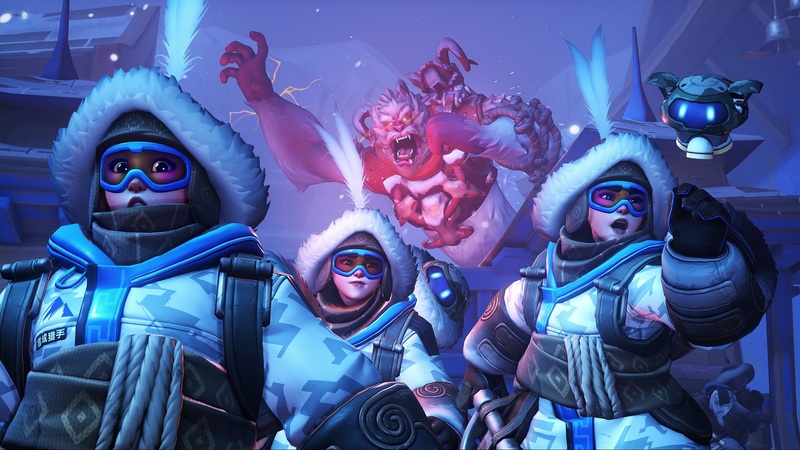 It’s time to play Mei’s Yeti Hunt during Overwatch Winter Wonderland 2018! This limited-time game mode is a lot like the much-maligned Evolve, except the monster is a poor, hungry Winston and the hunters are a team of five Meis. This mode isn’t super complicated and it’s pretty easy to win if you know what you’re doing. 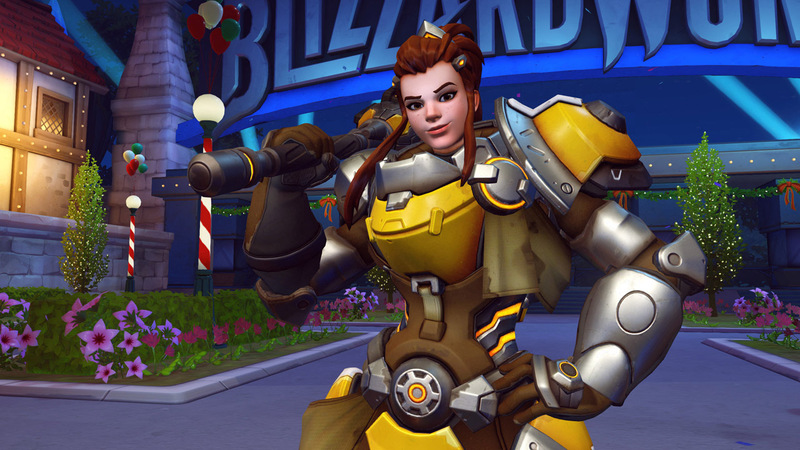 I recommend it as a great way to get easy loot boxes if you want to grab some of this year’s winter cosmetics. When you queue up for Yeti Hunt you get to play as either the yeti or the hunters. It’s a little hit or miss on which side wins, but generally the Meis do well if your team at least vaguely plays together. Before I break down each role, you should know that the mode takes place on the Nepal Village map and has a few tweaks to both Winston and Mei. 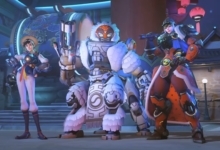 Mei still has all of her normal abilities, except for her ultimate: Blizzard. 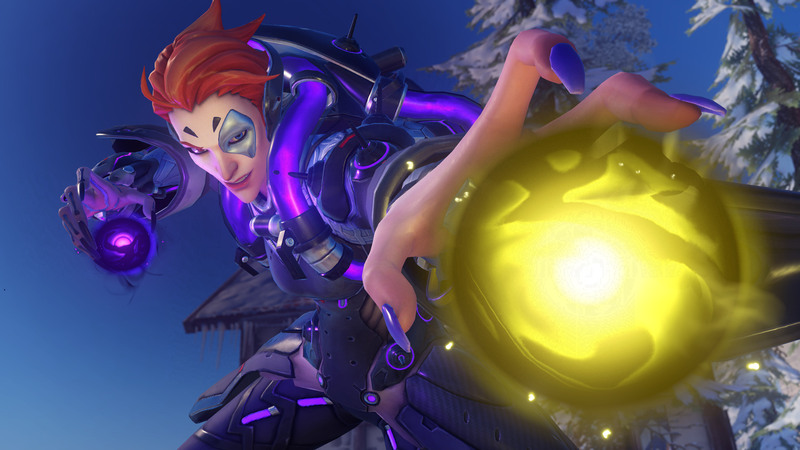 Instead, her new ultimate lays down a Junkrat-style trap with a five second setup time. Winston has 5,000 health and an alternate ultimate ability as well. To pop into his new, more powerful Primal Rage, you have to eat four pieces of meat at specific parts of the map. Listen up, because this role is not as hard as it might seem. Stick together with your fellow Meis and you’ll do well. The yeti can easily punish you for being stuck alone and you only get five total team deaths before you lose the game. Don’t use your healing Cryo-Freeze ability too early and don’t forget that Ice Wall can block off the Yeti’s damage. The trick is to rotate in and out of his range while each of you freeze and icicle him. Otherwise, shoot at Winston from range and punish him when he enters buildings or clearly wants to grab meat. Lay traps near meat spots, but make sure not to overlap traps on the same one. If the Yeti is low on health you can even set up another trap near him so he can’t leave or just to stall him as he tries to destroy it. If he’s heading toward the final meat before Primal Rage, your team should predetermine a place to retreat to so you don’t get beaten to death. When the yeti enters Primal Rage, be ready to wall him off if he targets you. You can only take about two hits in this phase, so watch out! Above all, don’t die outside of Primal Rage and focus on stalling the yeti as much as possible. The Mei’s win by attrition in this mode because they can’t afford to be aggressive without any healers. The yeti role can be annoying because being frozen constantly isn’t very fun. 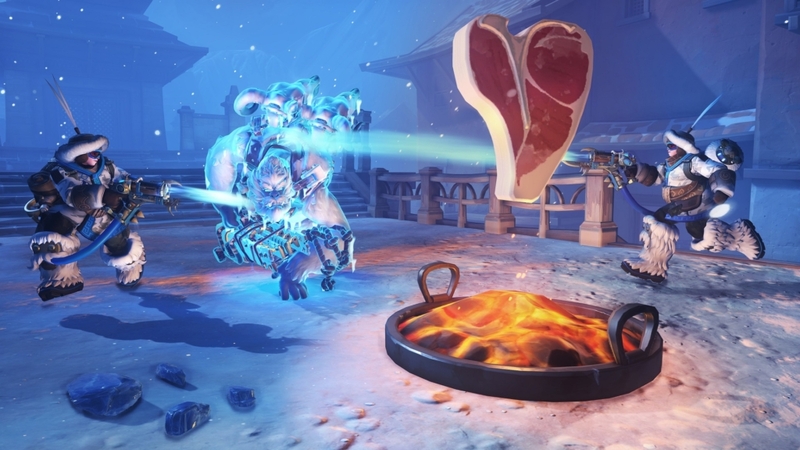 To avoid that, you need to stay as far away from the Meis as possible and use your Barrier Projector to avoid getting hit by icicles while you collect meat. Whatever you do, don’t enter small rooms. The Meis will wall you in and devastate your health. If you ever see a Mei alone, punish her for it. She can only heal herself with one, long cooldown ability. A solo Mei is basically a free kill and is worth the damage taken. 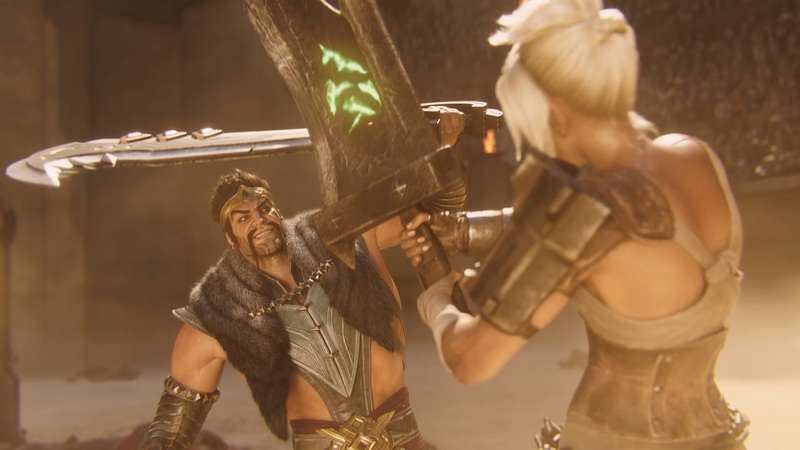 A good trick is to melee when they’re low to get a burst of damage and save yourself a tiny bit of health. The big goal as the yeti is to maintain as much health as possible before you commit to a fight with a Mei. You can bait Meis close to you just before you collect your final meat for some easy kills in Primal Rage, but smarter teams won’t be fooled. You need to do your best to track what abilities they use and to collect meat as fast as possible. To win as the yeti is to play aggressive and to find your openings. Take these tips with you into Yeti Hunt and you’ll easily grab some loot boxes. You’ll likely even earn the few achievements and their sprays, too. It’s a fun mode that isn’t too demanding. Just don’t be too mean to the lonely yeti. He’s just trying to eat, after all. And once you’re done, check out our Mei’s Snowball Offensive guide. 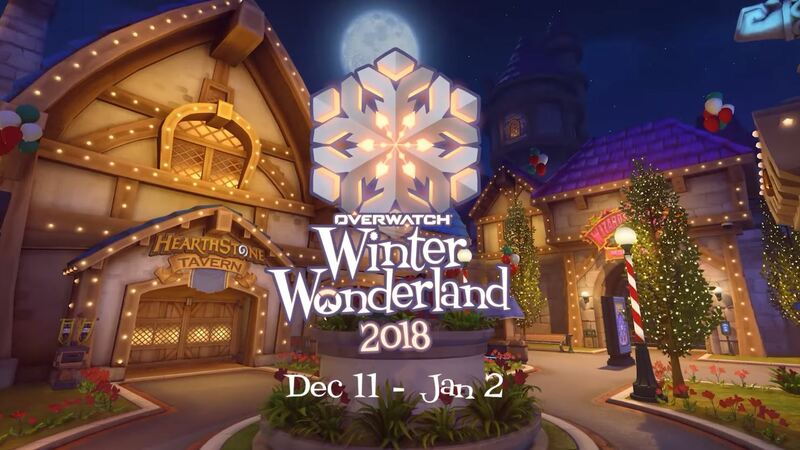 That should help you earn even more achievements and loot boxes during Overwatch Winter Wonderland 2018! Tyler Colp is a writer, podcaster, and streamer. He's been writing about games and pop culture for years. Ask him anything about Dark Souls.